One might find it disingenuous for the Air Force to declare that there was no basis to the report while admitting that there had been no official investigation of that report, but the Kelly-Hopkinsville incident seemed to inspire dramatic episodes of cognitive dissonance within the Air Force, to the point where it is difficult to tell just how many Air Forces there were in operation at the time. Also on the 22nd, The Madisonville, Kentucky Messenger reported that “At least a carload of Military Police sped to the scene” of the Sutton farm the night before. “Chief Greenwell stated definitely that Air Force Intelligence from Fort Campbell was on the scene,” Davis’ report confirmed. A full year later, in a September 10, 1956 letter to then-new Blue Book project chief Captain George T. Gregory, none other than Dr. Hynek reported that “It was (Hopkinsville Police Chief Greenwell) who stated that the affair was investigated by Air Force officers from Fort Campbell. I understand that MP’s and a Pfc from Fort Campbell investigated at the farmhouse on late Monday afternoon. The Pfc was a Mr. Hodson and his account and pictures were published in the Clarksville Tennessee Leaf Chronicle. “Chief Greenwell also stated that the affair had been investigated by two men from an unidentified agency at Standiford Field in Louisville, a commercial field,” Hynek reported. The August 24, 1955 article in the Clarksville Leaf Chronicle mentioned by Hynek relied on Pfc. Hodson’s testimony to an astonishing degree, in fact, and makes it clear that he was assisted in his efforts by the Hopkinsville Police. “On Monday following the inci­dent, Pfc Gary F. Hodson, who works in the Educational Center at Ft. Campbell and is a better than average artist, made the trip to the Sutton farm house with the assistance of the Hopkinsville police,” the article read. 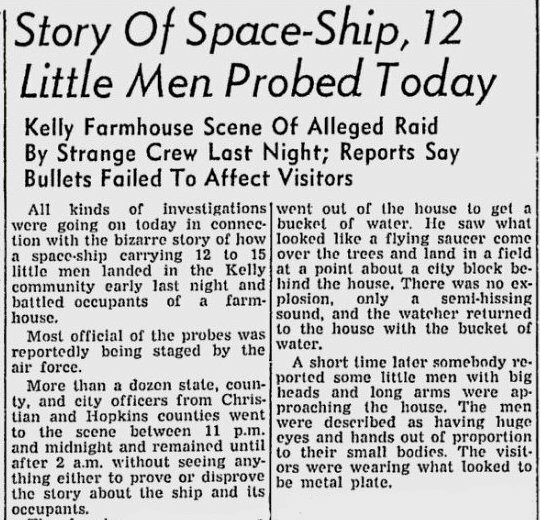 “There he talked with all the peo­ple who supposedly saw and fought with the little people who came from space to try to gain entrance to the Sutton home. “Hodson said that the people on the scene all said that the folks came in a conventional flying sau­cer that glowed all over and shot fire from the back end,” the article went on. “One notice­able thing about the saucer, apart from what has already been said, was that there was a rim about it that glowed more brightly than the rest. If Hodson’s description of Billy Ray Taylor’s UFO seems suspiciously over-detailed, Ledwith’s report reveals why: After mentioning that Hodson “…came as a private individual. He was not there in any official capacity,” Ledwith confessed that he foisted Billy Ray on Hodson when he realized that Taylor was lavishly embellishing his description of the creature with features no one else had seen. “The sad part of it,” Ledwith wrote, “was that the soldier was swallowing hook, line and sinker, all the new details. 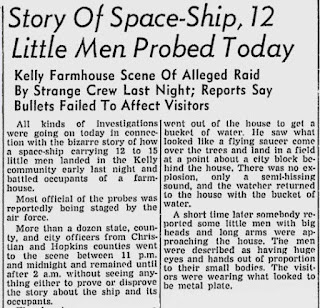 Surely after all this investigation there must have been a very thick file on the Kelly-Hopkinsville incident in the Blue Book offices, not to mention a sculpture of an odd little man that could hardly have escaped attention. But when, in 1957, the Air Force public affairs office learned that a magazine article on the second anniversary of the incident might soon be published, there were no records to be found. How to hide this gaping hole from public view? 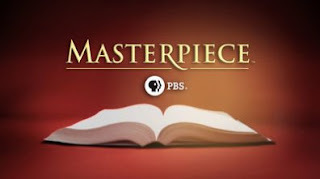 To that end, a previously anonymous adjutant at Fort Douglas, 1st Lieutenant Charles N. Kirk, was given the formidable task of reconstructing the original investigation, which, as far as anyone at Blue Book knew, had never even occurred. In due course 1st Lt. Kirk came through with a pair of documents that made it look as though Project Blue Book had been on top of the situation from day one. “As for the report that the affair was investigated and reported upon by two Air Force Officers from Campbell Air Force Base, I don’t beleive (sic) that there is any fact in this,” Hertell went on. “I beleive (sic) that a couple of our officers may have gone down—on their own—to view the place, as I heard some talk of this at the time, but Colonel Donald McPherson, the Base Commander certainly never ordered any official investigation, to the best of my knowledge. “I seem to remember Captain Benjamin Bennett saying something about going down to see the spot, but since he is still stationed there, surely you have already questioned him regarding this matter. The second curious document was written only nine days later, by the very same 1st Lt. Kirk. In this official report dated September 26, 1957, Kirk recounted a bizarre statement made to him by a Major John E. Albert about his visit to the Sutton farm the day after the incident. Maj. Albert arrived at the Sutton farm and had this to report after meeting the witnesses: “Mrs. Glennie Lankford was an impoverished widow woman who had grown up in this small community just outside of Hopkinsville, with very little education,” he said. “She belonged to the Holy Roller Church and the night and evening of this occurrence, had gone to a religious meeting and she indicated that the members of the congregation and her two sons and their wives and some friends of her sons’, were also at this religious meeting and were worked up into a frenzy, becoming very emotionally unbalanced and that after the religious meeting, they had discussed this article which she had heard about over the radio and had sent for from the Kingdom Publishers, Fort Worth 1, Texas and they had sent her this article with a picture which appeared to be a little man when it actually was a monkey, painted silver. 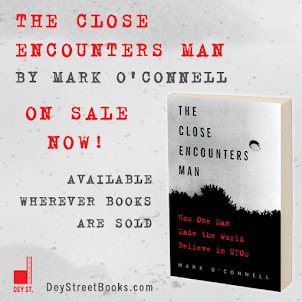 “On Sunday night Aug 21, 55 about 10:30 P. M. I was walking through the hallway which is located in the middle of my house and I looked out south the back door & saw a bright sliver object about two and a half feet tall appearing round. I became excited and did not look at it long enough to see if it had any eyes or move. I was about 15 or 20 feet from it. I fell backward, and then was carried into the bedroom. “My two sons Elmer Sutton age 25 and his wife Vera age 29, J. C. Sutton age 21 and his wife Aline (sic) age 27 and their friends Billie Taylor, age 21 and his wife June, 18 were all in the house and saw this little man that looked like a monkey. 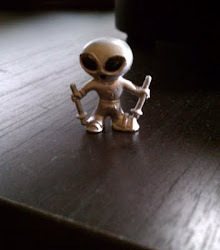 “About 3:30 A. M. I was in my bedroom and looked out the north window and saw a small silver shinning (sic) object about 2 1/2 feet tall that had its hands on the screen looking in. I called for my sons and they shot at it and it left. I was about 60 feet from it this time. I did not see it anymore. It is not known whether the dreaded magazine article commemorating the second anniversary of the Kelly-Hopkinsville incident ever appeared in print, but one could hardly blame the magazine editors if they decided to drop the story altogether once they learned about Major Albert’s silver monkey. A conservative head count arrives at a total of 13 MPs, officers and Intelligence operatives from Fort Campbell descending on the Sutton farm between August 21st and 22nd, as well as two men from an unknown, possibly civilian agency. At what point does unofficial become official? At least one of the officers was at the Sutton farm at the suggestion of his commanding officer. At least one was there at the direct request of his CO, although perhaps not technically under orders. At least one was with Air Force Intelligence. Report to Project Blue Book commander Captain George T. Gregory from Dr. J. Allen Hynek, dated September 10, 1956, reproduced in Isabel Davis’ Kelly-Hopkinsville investigation report. I'm surprised Major Albert didn't report the possibility that kangaroos were jumping out of the forest.